The Ada Comstock Scholars Program enables women of nontraditional college age to complete a bachelor of arts degree either part time or full time, with flexible options for reduced course loads, special academic advising, career counseling and housing. Ada students attend the same classes and fulfill the same requirements as all other Smith undergraduates. 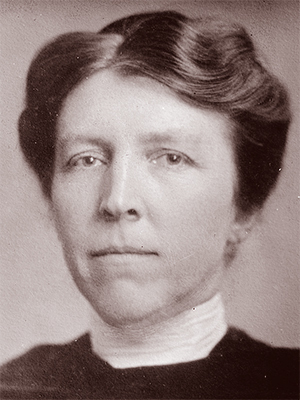 The Ada Comstock Scholars Program is named for Ada Louise Comstock, who graduated from Smith College in 1897 and served as dean from 1912 to 1923. From 1923 to 1943, she was president of Radcliffe College. Throughout her life, Ada Comstock demonstrated her commitment to the education of women. Ada Comstock Scholars range in age from their 20s to their mid-60s, with varying backgrounds and life paths, whether they chose to begin work, start families or travel after high school. They have come to Smith from all parts of the United States and as far as Asia and Africa. A common denominator for all Ada Comstock Scholars is that they reached a point where they wished to complete their education and fulfill their potential in new and creative ways. They have chosen to pursue a bachelor of arts degree at Smith College precisely because of the Ada Comstock Scholars Program and its innovative approach. Born on December 11, 1876, in Moorhead, Minnesota, Ada Comstock was the eldest of three children. As a bright, vivacious child, her father, a successful lawyer, recognized her capabilities and potential and set about to cultivate them by encouraging an early and sound education for his daughter. Ada completed her high school education at the age of 15 and went on to college. In 1895 she transferred from the University of Minnesota to Smith College, where she completed her last two years of undergraduate study. As a Smith student, Ada often questioned the established rules and norms of college life. While a resident of Hubbard House, she was given a case of champagne, which the housemother felt should be given away. Instead, in a move characteristic of Ada's spirit, she decided to store it in the water cooler to refresh her friends! After graduating from Smith in 1897, Ada went on to a graduate program at Moorhead State Normal School, where she became certified to teach, and then entered Columbia University for graduate work in English, history and education. In 1907, after teaching rhetoric at the University of Minnesota, she was appointed the university's first dean of women. In that capacity, she was instrumental in improving the quality of life for the women of the college, arguing persistently that a college was responsible for one's physical and intellectual well-being. In 1912, Ada came to Smith to serve as the first dean of the college and to teach English. One of the most important tenets of her educational philosophy was the inculcation of self-respect in young women, one aspect of which was knowing how to employ oneself. Ada strongly believed that a college education should inspire women to take part in shaping the world. In 1917, when the presidency of Smith College became vacant, Ada was given the responsibility of Smith's operation for approximately six months. The chance to become the president of a women's college presented itself in 1923, when Radcliffe offered Ada the position of its first full-time president. Under President Comstock, Radcliffe launched a nationwide admission program, improved student housing, constructed new classroom buildings and expanded the graduate program. In 1943, at the age of 67, after achieving what she set out to accomplish at Radcliffe, Ada stepped down from her presidency. Shortly thereafter she announced her marriage to Wallace Notestein, Sterling Professor Emeritus of History at Yale University, a man she had known since her days at the University of Minnesota. In retirement Ada was involved with the Smith College Board of Trustees, worked on plans for the graduate center at Radcliffe, did extensive educational committee work, administered a two-career household and traveled extensively with her husband. She remained active in her work for higher education for women until her death at 97. The Ada Comstock Scholars Program allows women of nontraditional college age to complete a bachelor of arts degree. The dean of the Ada Comstock Scholars Program serves as a valuable resource throughout your time at Smith. Ada Comstock Scholars benefit from a variety of academic support and advising services to address their particular needs. As an Ada Comstock Scholar, you will have a variety of housing options on campus or you can choose to live off campus. Magic Grants help Ada Comstock Scholars cover expenses associated with internships, research, creative projects and more. The Ada Comstock Handbook & Reference Guide covers policies, campus and community resources, special activities and more.